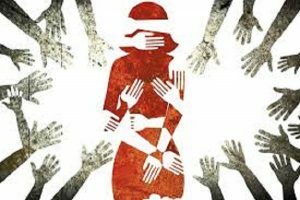 Coming on the heels of the Muzaffarpur shelter home abuse case – which has elicited sharp comment from the Supreme Court on the culpability of the Bihar government – a women’s shelter home in Deoria, UP, has proved to be another house of horror after a 12-year-old inmate escaped and reached the police. The child indicated that girls at the shelter were being physically and sexually abused with the complicity of the manager. Further, the home was running illegally as the state’s women and child welfare department had suspended its licence in July last year after a CBI report found financial irregularities. Many of these homes are run by NGOs with political connections. As exemplified by the Muzaffarpur case, the home was run by someone who also owned a few local newspapers and used his contacts to get grants for his NGO. In Deoria it’s extraordinary that the home was allowed to function, and local police continued to send girls to it, despite its licence being suspended. All of this points to a nexus between those running such homes, police and government officials. It also exposes a glaring lack of administrative oversight that homes have become tools to obtain government grants while inmates are abused and exploited. This calls for a thorough review of the shelter home system in the country. Homes should be places where destitute children find succour in a protective environment. They ought to be linked to schools, run by trained staff and have access to qualified counsellors, doctors and educators. The unfortunate part is that provisions exist, but due to lack of proper supervision most homes have become places of despair. Hence the problem can’t be solved through enacting new laws. Implementation, administrative action and proper oversight by concerned ministries are the need of the hour. The Centre has done well by calling for a social audit of all 9,000 child shelters in the country. What we are witnessing with shelter homes is symptomatic of India’s poor governance in general. It’s not a coincidence that both Bihar and UP where the horror homes were unearthed score poorly on the administrative index. It’s time authorities did the heavy lifting, reformed internal processes and established a clear chain of administrative accountability. Otherwise, horror homes will continue to mushroom and unscrupulous elements continue to exploit children. Indra Nooyi: Lone Star or Role Model? In 2006, when Indra Nooyi took over as the CEO of PepsiCo, she shattered the glass ceiling for immigrants and women, becoming one of the world’s most powerful corporate executives heading a business with a billion-plus dollar revenue. At that time, Nooyi was one of fewer than a dozen women at the helm of America’s 500 largest companies. Under her stewardship, PepsiCo navigated an economic recession, withstood challenges from activist investors, and increased public and policy awareness on issues such as obesity and environmental protection. Even as she navigated through these challenges, the company’s revenues rose from $35 billion to more than $63 billion, and its share price increased by about 80%. Nooyi led PepsiCo to environmental responsibility: reducing water usage and the carbon footprint, and increasing recycling. She also pioneered the embrace of healthier products — expanding the range from ‘fun’ to ‘better and good’. Those achievements notwithstanding, Nooyi’s rise has not pushed a crowd of women to the pinnacle of corporate America. Nooyi’s exit comes close on the heels of the departure of several other women CEOs. Inspirational as her rise has been for Indians and for women in particular, there is no easy route to greater woman power at the top of company boards. Nooyi is famous for saying that a woman cannot have it all, meaning women have to sacrifice personal life for achieving professional success. This would remain the case, so long as stereotypes of men’s and women’s roles within the family remain intact. Women do far more of housework, looking after children and aged relatives than men do. If men could bring themselves to take on half the load of such work, we could see more Nooyis rise. ऑपरेशन मानसून के तहत सारा जोर उन माओवादी नेताओं के सफाए पर है जो लंबे समय से सुरक्षा बलों को निशाना बनाने और स्थानीय स्तर पर हिंसा के लिए जिम्मेदार हैं। राज्य के चौदह जिले माओवाद प्रभावित हैं। केंद्रीय गृह मंत्रालय ने इसी साल अप्रैल में माओवाद प्रभावित राज्यों की समीक्षा करते हुए छत्तीसगढ़ के तीन जिलों को नक्सल प्रभावित जिलों की सूची से बाहर किया है, लेकिन राज्य के कबीरधाम जिले को नक्सल प्रभावित जिलों की सूची में डाल दिया। इससे लगता है कि माओवादी अगर एक जिले से खत्म हो रहे हैं तो दूसरे में गढ़ बना रहे हैं। कुल मिला कर नेटवर्क बढ़ ही रहा है, उस पर लगाम नहीं लग पा रही। राज्य के मुख्यमंत्री कई बार दावा कर चुके हैं कि 2022 यानी अगले चार साल में प्रदेश को पूरी तरह माओवादियों से मुक्त कर दिया जाएगा। लेकिन सवाल है कि जब तीन दशक बाद भी राज्य के चौदह जिले माओवादियों के कब्जे में हैं तो अगले चार साल में इनसे कैसे मुक्ति मिल जाएगी ? ऐसे कैसे बचेंगी बेटियां ! National commissions are white elephants: Expensive and ineffective. “Over the years, in many important debates, this statutory body has often played the role of a foot-soldier of frivolousness.” This is what The Indian Express said about the National Commission for Women in an editorial (‘Sins of Commission’, July 30) in the context of its reported recommendation to the government for banning by law the Christian religious practice of confession. “Reckless and damaging” the suggestion indeed is, but for me an issue for deeper thought is the editorial’s assessment of the role played by this 26-year-old organisation as an exercise in frivolity which, in retrospect, seems to also be true of most of its sister institutions. In India there are national commissions aplenty, all supposed to be parastatal watchdogs to oversee the implementation of human rights and civil liberties. Today there are at least eight such quasi-autonomous bodies. The exercise began in January 1978 with the establishment of a central Minorities Commission, followed five months later by a joint Scheduled Castes and Scheduled Tribes Commission. Set up by the Morarji Desai government, these bodies were slated to be given constitutional status. But the move was scuttled by the then Opposition parties in league with some partners in government. A second attempt to achieve the goal, made in 1990 by the V P Singh government, was also stifled. The bill moved for this purpose, passed two years later during the succeeding Congress rule, conferred constitutional status on the SC/ST Commission alone. The Minorities Commission was eventually rechristened as the National Commission for Minorities (NCM) and placed under an Act of Parliament. In 2003, the SC/ST Commission was split into two bodies, both enjoying constitutional status. During V P Singh’s rule was also enacted a National Commission for Women Act 1990, but the first Commission under it was set up in January 1992 after the change of government. Next year, the new Congress government enacted laws for the establishment of two more national commissions, one each for backward classes and safai karmcharis. In quick succession, it decided to set up a National Human Rights Commission (NHRC), professedly to “counter the false and politically motivated propaganda by foreign and Indian civil rights agencies”. It came into existence in September 1993 under an ordinance retrospectively replaced early next year with the Protection of Human Rights Act. Mercifully, no new national commissions came up during the next 10 years, but on bouncing back to power in 2004, the Congress set up two national commissions — one each for minority educational institutions and protection of child rights. It had also moved a bill to confer constitutional status on NCM but did not seriously pursue the move. This year, a parliamentary committee and the present NCM endorsed the move but till date there has been no official response. Meanwhile, the government has conferred constitutional status on the National Backward Classes Commission. The composition and appointment mechanism for various national commissions widely differ. The NHRC must be headed by a former Chief Justice of India and have two members each from amongst judges and human rights experts — all to be appointed by a high-level statutory committee. On the contrary, the NCM and NCW chairs and members are to be appointed by the government in its unrestricted discretion. While aspirants for the chair and membership of NCM should only be persons of “eminence, ability and integrity”, the NCW chair is simply to be one “committed to the cause of women” — only its members have to be “persons of ability, integrity and understanding who have experience in law or legislation, trade unionism, management of an industry or organisation committed to increasing employment potential of women, women’s voluntary organisations (including women activists) administration, economic development, health, education or social welfare”. The record of successive governments in adhering to the prescribed touchstones is disappointing. More so in the case of NCW — of its eight Chairs, the only name eminently fulfilling statutory requirements for eligibility has been of Mohini Giri. Under the noses of these supposedly autonomous national bodies, the situation of citizens’ human rights and civil liberties has been moving from bad to worse. All these white elephants — each maintained with an exorbitant budget — are a drain on the state exchequer and ultimately an unwarranted burden on taxpayers.